Avatars give people an online "persona" of sorts on message boards, in chat rooms, on blogs and Facebook pages, or anywhere else online. Consider an avatar your personal stamp on the cyber community at large. Grab some free avatars below, or from any of the following sites to let people know who you are. If you're into fun, cartoon-style avatars, download these free images to use. Pick one, or download them all and rotate them as you please. Right click on the avatar you want, including the one above, and choose "Save image as" to save it to your hard drive. If you're interested in avatars that represent "you" a little better, you may also want to download some free female avatars as well, once you're done. If animals like cats, dogs or horses are your thing, personalize your avatar with an image from one of these galleries. From cute and cuddly kittens to funny pictures of cartoon cats, these collections have it all. 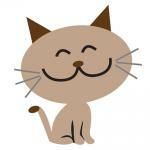 AvatarsDB also has numerous cat avatars, including animations and cartoons. Picgifs has eight pages of dog avatars that feature numerous breeds, as well as pictures of puppies and dogs with other animals like baby seals. These collections feature everything and anything connected with animals. Cool Avatars has numerous animal avatars, including thieving seagulls and tigers. Planet Wally has dozens of humorous animal avatars to choose from, including pirate penguins and assassin cats. Personify yourself as a famous, rich and gorgeous movie star. These avatars are for serious fans only. HotAvatars features multiple avatars listed both by movie title and by movie character. Planet Wally features several different animated movie avatars that show your favorite movie characters performing their signature moves. Now you can let everyone know what you're watching by stamping your online persona with a scene from your favorite television show. Planet Wally features multiple avatars from television shows, both animated and static. Avatarist has numerous TV avatars that are broken down by television show or by actor so you can search for exactly what you need. Choose an iconic figure that you feel represents you best. AvatarStock has a number of different celebrity avatars, such as Daniel Radcliff and Marilyn Manson. Avatar Abyss has 147 different celebrity avatars, and many feature the same actors in multiple poses and scenes so you can send the right message. Whether you like classic comic book fare, or are into anime, there's something for every comic book aficionado. All Avatars has a large selection of Anime avatars, and many are taken directly from the cartoons. Hot Avatars features numerous cartoon avatars, and many in animated gif form. Most are recognizable from cartoons; others are humorous drawings. Whether you want to spread the message about protecting our environment or you simply like to marvel at the natural world, these avatars are for you. All Avatars has a number of different nature and nature-inspired avatars that feature things like wild animals and flowers. AvatarsDB features several different nature and nature-inspired avatars as well. Most are animated and include images like falling rain. These avatar collections feature fantasy worlds from another realm. Hot Avatars features a fantasy section that includes mythical creatures, as well as scenes from books and movies. All Avatars has a fantasy section as well, which also has science fiction avatars. Get into the season with these holiday avatars. AvatarStock features numerous holiday avatars, including snowmen, Christmas scenes and Halloween avatars. These galleries show off what you can do with a digital camera and a good editing program. All Avatars has a number of different abstract avatars featuring colorful digital designs, they also have a number of manipulated photograph avatars as well. Avatar Abyss has 85 different photography-based avatars, some animated, and most with a manipulated design. Use a sports-theme avatar to show off your team spirit or just your love of the game. Avatarist has multiple sport avatars that feature some obscure sports like badminton and track. Customizing an avatar is a fun way to show your personality. The following sites let you create a character using pre-made imagery and art. Otaku Avatar Maker allows you to customize your own character to use as an avatar or on a blog. Note that you are asked to give credit for your creation. Meez is a free site that allows you to create an avatar, customize it and animate it as well. The style here will definitely appeal to tweens and teens. You have to sign up to use Zwinky in order to access the site. Sign up is free, and you can create and collect Zwinky dolls. The dolls are slightly addictive since you can customize everything from their accessories to their make-up. They are part of an online community, but you can still save them to use as avatars. Voki allows you to create a custom avatar and add your voice to it as well. You can then use the avatar in forums, classrooms, and other learning settings. People online will learn to identify you by the avatar you choose to use. With the number of free avatars out there, you should have no trouble finding just the right one to represent yourself.